As one of the largest majors on campus, biology offers you tons of ways to jump into learning about life with both feet. 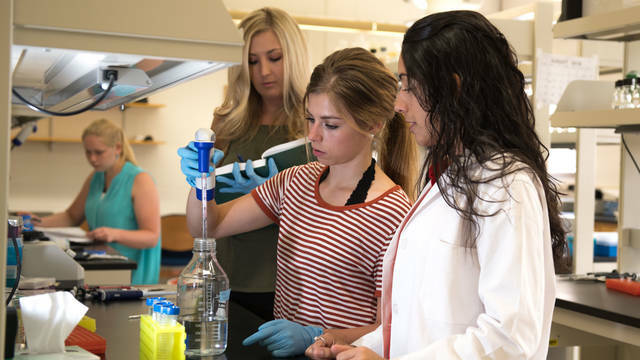 Local and international faculty/student research experiences in the lab or out in the field, plus fantastic internships, clubs, and facilities make your biology degree the perfect launch pad to a rewarding career. Our mission is to build a community that will instill an enthusiasm for lifetime learning in the biological sciences through education, research and service to the university in its entirety: our students, faculty, staff and the public-at-large. Meet some of the many people who are here to make sure you get everything you want out of your time at UWEC. Our faculty and staff are not only passionate about biology, but they also take pride in the success of Blugolds.